PK Online, the New Media Company incubated by Percept and Viraj Malik (a technocrat turned entrepreneur) creates products and services, which simplify digital content consumption for end users, through multi-screen platform for distributing and monetizing rich content through subscription and advertising. It has been an early mover in the digital advertising and video space with products like Ad Chakra and Hello TV reaching out to more than 20 million Internet users on a monthly basis. Its Hello TV platform also has a unique distinction of having more than 30-curated ad-free content channels apart from offering more than 100 broadcast channels and thousands of VOD content. It also runs a variety of ad supported content channels like Cinecurry on popular platforms like YouTube and its viewership falls in the Top 10 players in the Indian market. Cauvery Adiga Adiga is the co-founder of PK Online and over the past six years has handled multiple roles from HR to product development. She has played an important role in creating the foundation of the PK Online business. Adiga says, "The start-ups I have worked with have done wonderfully well and are thriving in their respective domains. It is a joy to see the associated teams growing, both professionally and personally. This new designation is an indication that as an organisation, we are moving from a pure start up stage to the next level of growth. My key focus going forward would be on creating an engaging video destination for first time internet users on mobile." Cauvery is the Co-Founder of PK Online and over the past 6 years has handled multiple roles from HR to product development. She has been pivotal in creating the foundation of the PK Online business. As COO, Cauvery will be handling the overall responsibility for content revenues, development of content and Telco partnerships, as also providing strategic direction, creating opportunities for integration with a variety of distribution and content partners. Cauvery comes with rich experience of 20 years primarily in start-ups. Previously, she has been instrumental in setting up 2 offshore development centres, one for a US based Supply Chain Product Company and the other for a Dubai based Bank. Cauvery was associated with AT&T’s Remote Infrastructure Management offshore centre – USi. 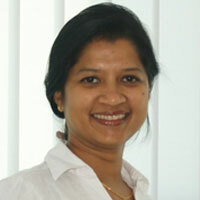 She has worked extensively with global teams and understands the nuances of cross cultural engagements. Her core expertise lies in setting up delivery teams, operations and transitioning cost centres to profit centres. Working with start ups has given her immense exposure to all aspects of business including areas of General Management, Finance, People Management, Sales and Delivery. With her vast exposure in the New Media domain and general management, Cauvery Adiga brings a wealth of expertise, ideas, experience and knowledge to help take PK Online to the next level. PK Online is the New Media Company incubated by Percept and Viraj Malik, a technocrat turned entrepreneur in 2007.